Pre-orders for the Vive will begin on the last day of February with shipping expected in April. Last week, pre-orders for the Oculus Rift opened up. Now we know when competitor HTC will open the floodgates for the room-encompassing Vive virtual reality headset. 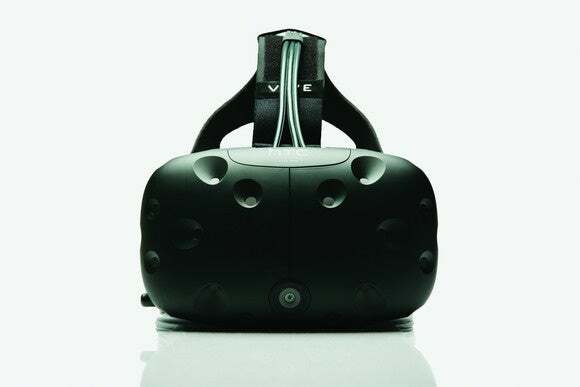 HTC confirmed to PCWorld that pre-orders for the Vive would open on Monday, February 29, as first reported by The Telegraph. Even though pre-orders begin in late February, the Vive won’t actually ship until April. Oculus VR plans to start shipping the Rift on March 28. The story behind the story: In the same story as the Vive’s release date, The Telegraph managed to drop another significant bomb. HTC CEO Cher Wang said HTC is going to refocus on virtual reality and move away from smartphones. It’s not clear if HTC plans to give up on phones altogether but the company has struggled to regain its position as a top Android smartphone maker. If VR turns out to be the next big thing for the PC industry as many critics believe, switching gears could be a big win for the Taiwan-based company. Pricing for the Vive is the most important question HTC has yet to answer. Critics and gamers alike were shocked at the high price tag of the $600 Oculus Rift. In addition to the headset, the Vive requires two made-for-VR motion controllers and two “Lighthouse” base stations that track you as you move around the room in VR. On top of that you need a 15-by-15 foot space to get the complete “room-scale” Vive experience. Nevertheless, a higher price is to be expected as this is a first-generation product. The Vive and the Rift alike will mainly appeal to early adopters who have a monster of a gaming rig ready to take on the demands of immersive virtual reality.